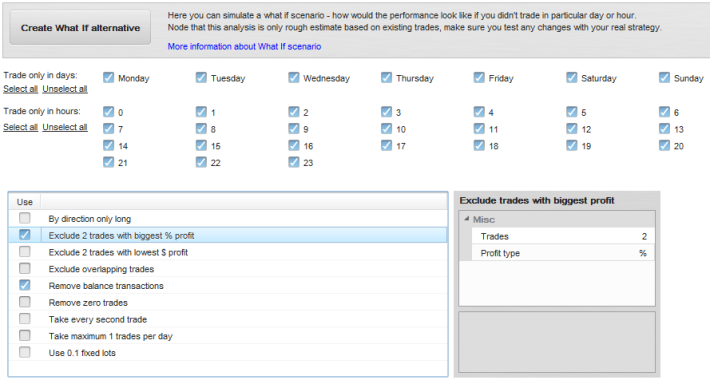 What-if scenarios allow to simulate many different situations, such as trading at specific hours or on specific days. Thus you can find and improve weak points of your strategies. You trade every day from 9 a.m. to 3 p.m.
Why would you use the what-if scenarios? You can easily find out how different situations impact results of your strategy and thus improve it easily. With the help of analysis of the results you can choose days or hours when the strategy is not profitable and just not trade at these times. The main strength of what-if analysis is that you can test the scenarios very quickly. It is sufficient to choose the conditions that you want to test, push a button and in a few seconds you get your results. 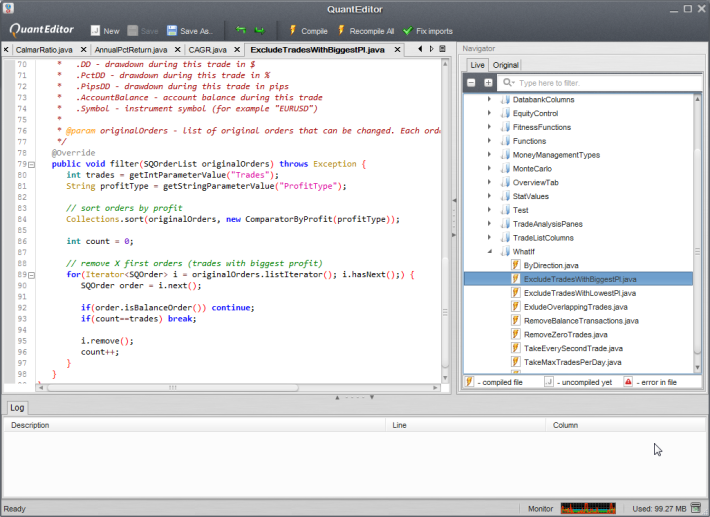 If you have programming skills, you can easily create your own conditions for testing using the QuantEditor tool.